Originally, I was just going to make this a list article giving you some cool facts about the supposed “Bitcoin Killer” One Coin. 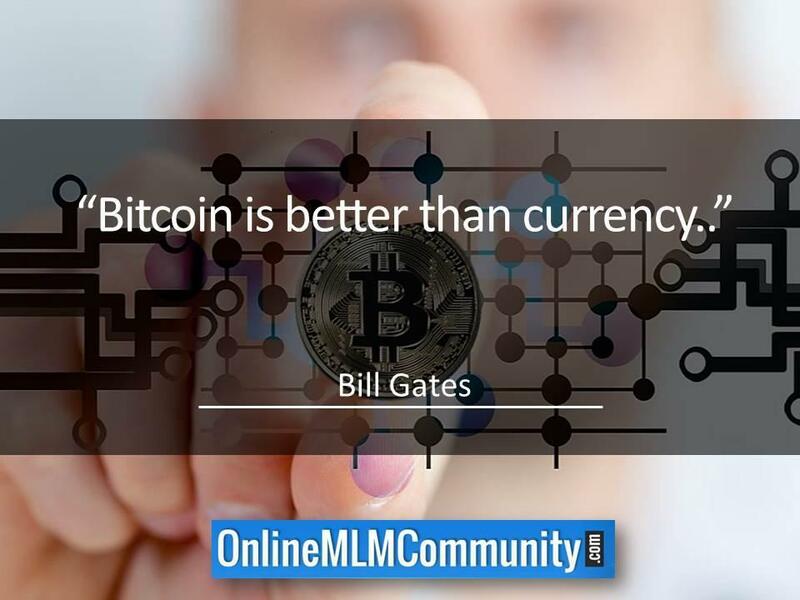 As I researched this multilevel marketing crypto-currency system, I felt a strong urge to change how I would go about writing this post. First off, I don’t know if the facts I am about to tell you are cool. We will not going to give you my opinion about One Coin; I am just going to supply you with these 25 facts and let you decide for yourself if One Coin is a good opportunity or a scam. I am interested in gaining every opinion from all of the readers. So please just comment if you believe it is a scam or a good opportunity at the end of this post. One Coin Fact #1: Onecoin Ltd. The company behind the crypto-currency One Coin is Onecoin Ltd. With their primary headquarters in Gibraltar. They also have offices are in Bulgaria. The “brains” behind One Coin is a Bulgarian by the name of Dr. Ruja Ignatova. According to the biography on her Tumbler site, Dr. Ignatova was born in Bulgaria but moved with her family to Germany when she was 10. Supposedly, Ruja finished Law School in 2 ½ years and ranked 3rd in the country for her grades. She completed her Doctorate and went on to work for major financial institutions. She is part of the management team of Crypto Real Investment Trust and has written a book entitled Learning For Profit. Transparency in that, One Coin claims to use KYC (Know Your Customer) policies and that they work proactively with governments. Educating the masses on the good of crypto-currencies. That One Coin is easy and safe and ensures compliance on Anti-Money Laundering regulations. That there are only 120 Billion One Coins and they use the most sophisticated technology to process transactions more quickly than competitors. But, when I scrolled down to where it says on the website that I could ask Dr. Ruja questions on her blog, when I clicked it. I get a Coming Soon message. There is only one place you can exchange One Coin. According to the One Coin website, this is because One Coin owners are part of just one network and must use XCOINX.com to exchange their coins. 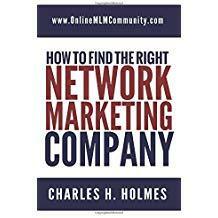 Unlike other cryptocurriencies, One Coin is mined using a multilevel marketing type of business format. It all runs through One Life website and to be able to mine coins, a member must purchase packages that supposedly hold educational materials. These packages start at free and go up to 27,500 Euros. It has been shown that several of the key figures in the One coin operation have been investigated and some even have convictions for running Ponzi schemes. The Hungarian Central Bank has issued a warning to all citizens of that country that they believe the One Coin – One Life operation is an illegal pyramid operation. In China, multiple One Coin investors and members were arrested in 2016 and the government seized nearly $31,000,000 in assets. The Italian Antitrust Authority filed an injunction against One Network Services Ltd. Which is the primary company behind One Coin. They did so in 2016 and in February of 2017 they banned all One Coin activity in Italy. They claim it is an illegal pyramid system. Bitcoin is the largest and most successful crypto-currency in the world. In an effort to make sure that scams do not harm their operations, they provided evidence to the British newspaper Mirror showing extreme evidence that One Coin is a Ponzi scheme. The Mirror agreed and printed the One Coin – One Life is both a cult and a get rich scheme. Bulgaria also issued warnings against One Coin. Dr. Ruja being from Bulgaria, it was shown the company was using banks there. After Bulgaria issued their statement, One Coined stopped its activity in Bulgaria and moved banking operations to foreign countries. In early March of 2017, the Croatian National Bank issued a warning to its citizens that One Coin is not regulated in any way and that the possibility of financial losses were high. Bitcoin was quick to point out that every other cryptocurrency in use will accept another cryptocurrency as payment. But One coin will not accept any. You can only pay using your credit or debit card or by bank wire. Anytime an independent associate signs up a new member, and that member purchases a package, the associate gets commissions totaling 10%. But of that 10%, 6% goes into a cash account which is withdrawable but at a cost that is extremely high. The other 4% is put into a mandatory account that can only be used to buy tokens, coins or upgrade their account. One man by the name of Ken Labine signed up his cat. Yep, Milo the Cat is a One Coin mining member. So the Know Your Customer policy at One Coin is a complete farce. No one can actually determine how this figure was determined, but Dr. Ruja and the management team set the value of each One Coin was set at $7.05 before more coins were added. Suddenly, Ruja decides to change the amount of One Coins available to be mined from 2.1 Billion to 120 Billion, but somehow the One Coin value remains the same. Even a person who failed Economics knows this is an oxymoron. The price per coin should have dropped to 12 cents each. One Life does have a touchable product you can purchase. It is a tablet that has a retail value of 550 Euro, but straight from Dr. Ruja herself, you can but that tablet for 7,236 Euro in One Coin. So she is saying that One Coin isn’t worth squat. Another person who has had involvement in the operations of One Coin – One Life is Sebastian Greenwood. Greenwood was involved in a known pyramid scheme in Pakistan called Unaico. The foundation created under the One Life guise states that they are giving laptops to children and helping to teach children about today’s economy. Dr. Ruja has not shown any evidence whatsoever that any of this is true. 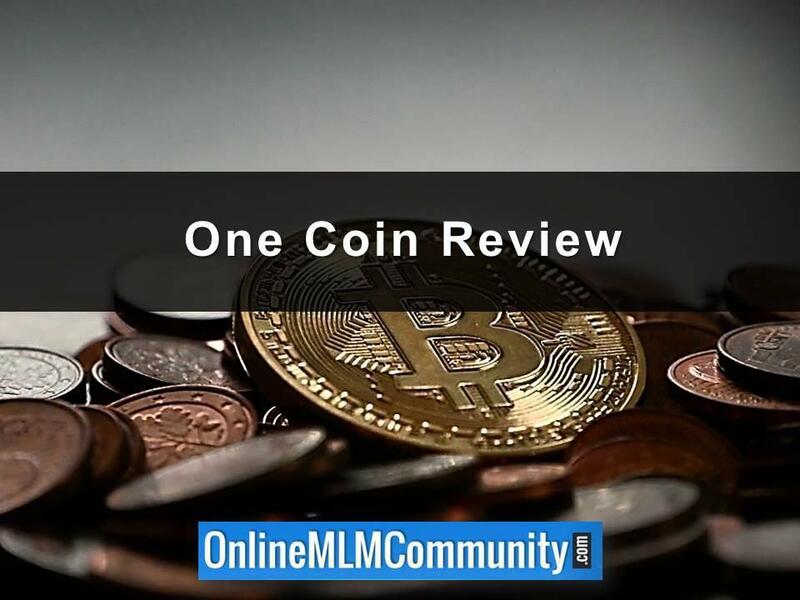 Since day one, the United States is considered a restricted country for participation in the One Coin – One Life MLM system. Most experts agree that this is to keep clear of the U.S. SEC. CoinMarketCap keeps a listing of all viable cryptocurrencies. You will not find One Coin listed anywhere at CoinMarketCap. In dealing with any investment type of system such as One Coin, transparency is important. An investor should know who is handling their money. Both the One Coin and One Life websites are registered as private domains. Ownership is nearly impossible to determine. It seems that One Coin and One Life has discovered a backdoor into the United States market. By using iPro Network and CEO Armando Contreras who is integrating the One Coin concept into his MLM system. While I am keeping my opinion of One Coin to myself, I do want to share some of the statements by other people. Thanks for reading my One Coin Review. At this point, it is completely your choice on if you will jump into the One Coin or One Life system. But, I want to just give you one piece of advice… Use common sense. Is the opportunity really right for you? I really cannot say for sure if One Coin is a scam or a good, unique opportunity. But, I would love to hear any, and all opinions. Just please keep them clean of name calling and derogatory words. If you have any questions or comments, you can post them below. I will also ask that you please use the share buttons and help all other people see this to give them information before they make any rash decisions. Thank you. Good information,keep us informed,a friend asked to buy 5000 onecoins for $5000 Australian,it’s the last package left….I think it’s better to buy ripple or something which are atleast in the market. I would definitely buy something in the market as compared to those other coins. I am also from Uganda. a very reliable friend told me about the one coin investment, and she linked me up with one of their associates who organized a presentation to me. I have since been meditating, thinking and praying about it, let alone reading reviews online. My entire gut feeling and intuition believes that this is a scam, and a huge financial risk. What has made me more skeptical is that this friend of mine told me contravecial things without realizing. I was curious to know if since she enrolled in December 2016 she had already been able to put to use her coins/tokens either by way of transforming it to cash, or using them to purchase goods/services eventually. In the first instance, she told me you she accessed some money through a another one coin member who had a ‘visa card’ since she did not have one. Apparently, you have to apply for a certain kind of visa card from One coin in order to get that card, so she had not yet applied. A few weeks later, I asked her the same question in different manner. She told me it is not yet possible to access cash or use the coins till June 2018 when it will be made public. I was confused, but got more skeptical. By the time I had spoken to her, last month (September 2017), she said she had accumulated coins worth $400,000 since joining in December 2016! She only invested $6000…Wow, wow!!! She is even planning to buy more coins before they run out! I really hope this is true, and I will surely be very happy for her. I really want to succeed, even financially, but my gut feeling has not completely agreed with this one coin investment! Something tells me it is not right. I have come across several reviews that indicate that the company has faced legal suit, even expulsion in some countries, especially top economies, like China, UK, etc. I really think by the time a serious investment and economic development-oriented country decides to expel a company that would otherwise make every citizen a billionaire of sorts, they could have done all their research and due deligience checks at high level, which also involves cross checking with other high intelligience info from sister countries of the same rank….but then again, may be they are wrong! If one one else has really some great positive evidence about One Coin, I am happy to hear more. Honestly I’m totally confused on what to say, j first herd this obecoin in Arab countries and my Arab guy approached me and I didn’t give a try because I wasn’t interested but when I went back to Uganda I found the system started there and I’m passionately wanting to enter but I’m not sure if it’s a trustworthy business so please try to share more information about it thanks. What other members whom I approached here locally are saying is, they are going to list in open market by July 2018. Please share more updates you may have. This was a guest post. I am not overly passionate about crypto-currency, but I know a lot of people are. I wish you all the best.